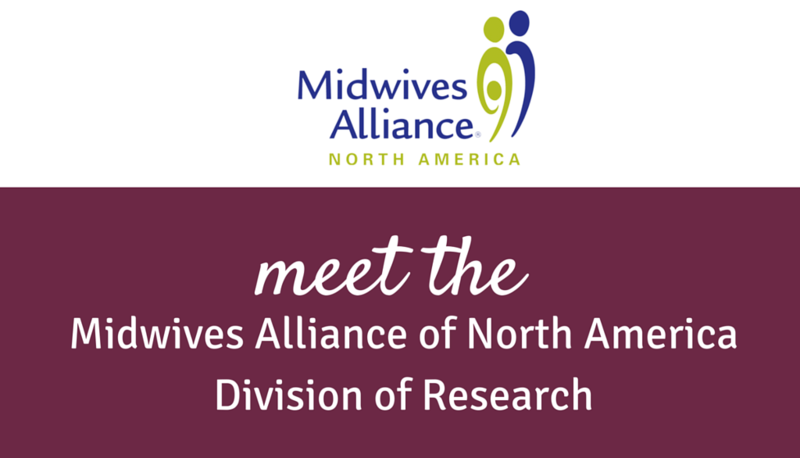 The Midwives Alliance Division of Research (DOR) is a volunteer group comprised of clinicians, academics, research and policy experts, and database developers. Together they work to increase knowledge about midwifery care and help midwives become more fluent in conducting research, critically appraising the available data, and incorporating the best available research findings into their practice. The DOR is guided by an Advisory Panel and Coordinating Council. The DOR is currently working on a series of projects designed to increase the capacity for, and dissemination of, rigorous research and innovation in maternal-infant health and midwifery care. These projects include the Maternity Care Data Alliance (MCDA), annual benchmarking, expansion of dissemination capacity, public information about the MANA Stats datasets, and educating midwives about research. Nice volunteer group guided by Advisory Panel and Coordinating Council which increase our knowledge about midwifery care. Thank you, Colleen, and Sherry to your dedication to this project and to all thebwork you are doing for midwives and families! What was the objection to their inclusion and who objected? ICTC on US MERA--at last!! I am sitting in my office in northern Michigan, reading Colleen's missive on ICTC's inclusion in US MERA, and reflecting on this long and arduous journey. I feel elated that the voice of Black Midwives will finally have a rightful place at the table among the US midwifery leadership. And I feel proud of us, proud of MANA for unreleningly advocating for ICTC's right to sit at the table, from the very beginning. All the way through 3 presidents and multiple board member, MANA never wavered as an ally of ICTC and a voice for inclusion of all stakeholders at the US MERA negotiations. BRAVO to the strong leaders, from both ICTC and MANA, who made this dream of inclusion happen! And bravo to US MERA Work Group who finally, albeit belatedly, realized bringing all voices into the conversation is not only the right thing to do ethically, but is also strategically the most savvy. It widens the circle of US midwifery, builds common ground, and brings all of our collective resources to bear. And it allows us to put the focus of serving ALL mothers, fathers, infants and familes smack in the center, where they belong. Great news. Thank you, Colleen and Sherry for your hard work dedication to this project. I would like to congratulate you. Midwifery is a great profession. You are doing a lot of help to midwives and their families. I love reading midwifery blogs. Thanks a lot for such useful information.